How much time do you invest into your blog? The success of this project is not dependent solely upon the quality of posts you provide; the frequency is also very important. Since you can’t spend your entire day into crafting a blog post, you have to find a way to achieve better results in less time. There is a name for that goal: Productivity Improvement. The good news is that there are tools for that! In the continuation, you’ll find a list of 8 blogging tools that will help you publish high-quality content within your posting schedule. IFTTT means If This Then That. It’s an interesting online service that really makes a blogger’s life easier. You can use it to create ‘recipes’: when you do a certain action, it triggers another action that you’ve previously set. For example, you can set an IFTTT recipe that sends Facebook and Twitter updates every time you publish a new post. In addition to If Recipes, you can also create Do Recipes, which enable you to use Evernote to save notes on the fly, create quick events in Google Calendar, keep track of where you were this week, and much more. IFTTT takes automation on a higher level since you can integrate it with virtually any online service. You can create any kind of recipe you have in mind. For example, you can set an app to send a reminder when the date of a scheduled post is approaching. You absolutely need to start relying on Buffer – a service that enables you to find great shareable content and schedule updates on different social media websites. You know that the activity peaks on Facebook, Twitter, Instagram Tumblr, and other sites are varying. You need to promote your blog posts when most of your audience can see the updates. Does that mean that you should keep track of your activities and log into your profiles during peak hours? No; you just need to schedule the posts with Buffer. If you don’t have your own posts to promote every day, you can locate interesting content from your niche through the same tool. Then, you’ll just schedule when you want the links to be shared on different social media sites. Every blogger needs a great list of email subscriptions. If you have many subscribers, you can rest assured that your posts will get the attention they deserve. The activities for attracting and gathering subscribers can consume a lot of time. That’s why you need another automation tool – Ontraport. When you publish new content on your blog, you should give the readers an option to become your subscribers. Ontraport enables you to take email marketing to a higher level. It sends automated emails related to your blog posts. When your subscribers click on the link, they get other emails with details of other posts on similar topics. Thus, you’ll be getting more visits on your blog without bothering much with other kinds of promotion. There is a huge trend going on among the bloggers from your niche, but you can’t find the time to conduct a research and develop a high-quality article? Maybe you just can’t come up with a unique idea when you have a scheduled post? You can’t disappoint your audience if they are expecting to see something new on your blog on the given day of the week. It’s okay to get stuck; it’s not okay to let that state take your focus away. Australian Writings is a great solution in such situations. You can delegate any topic to talented professional writers. The company will pair you with a writer from the given niche, and you can collaborate with your partner. The end result will be based on your instructions, so you can rest assured that your unique voice and tone will be preserved. 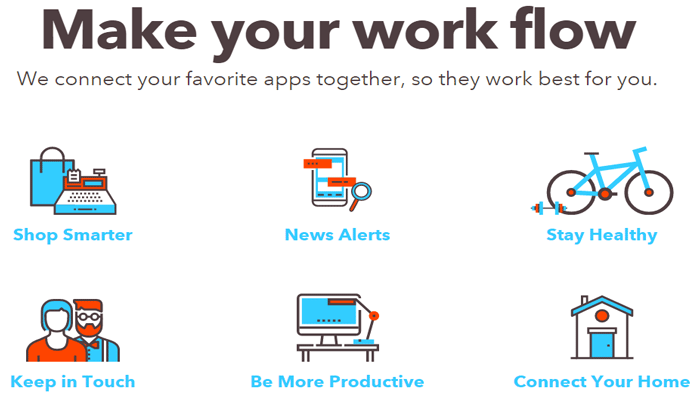 A blogger needs a to-do app to increase productivity. You have many activities throughout the day, but you need to balance them out with blog writing, research, post promoting, and social media activity. That’s not an easy goal to achieve. That’s why you need to be very diligent when it comes to crafting and following a daily schedule. There are plenty of to-do apps you can use, but Wunderlist is possibly the most effective one. You can use it to create a simple list of task, but you will also benefit from its collaborative features. You will organize your lists in any way that works for you, and you can share it with your collaborators. The best part is that you can set due dates, and you’ll get reminders for them. Thus, you’ll never forget to work on a scheduled post before the planned date of publication. Your productivity as a blogger is not limited to the number of posts you produce in a given period. It’s also dependent upon the number of readers you attract with those posts. You probably know that plain text is not enough to attract readers and hold their attention. If you’re not taking your own photos, then you have to find another way to infuse a visual aspect in your content. With Canva, you can create a beautiful design that will look awesome on your page. Photo collage, flyer, presentation, poster, blog graphics, invitations, infographics… the list goes on. You can craft different types of design through a simple drag-and-drop feature. Canva is free, fast, and very simple to use. You won’t waste any time in learning about design; just choose a visual project that would boost the appeal of your text and start creating. This is an online calendar that makes post scheduling easy. Every blogger needs to stick to a consistent plan that creates a routine for the readers. With CoSchedule, you can create a plan for your publications and write the posts in advance. Then, you’ll just need to publish them on the scheduled date. If you want to change the schedule, you can reorganize the planned articles through a drag-and-drop feature. You can also assign tasks to a team. In addition, you can use CoSchedule to distribute content throughout your social media profiles at specific times. This is a desktop timer based on the Pomodoro Technique, which has been designed to boost your productivity to ultimate levels. This is a simple time-management technique based on the ability of your brain to focus on a particular task. The traditional Pomodoro method encourages you to work for 25 minutes and take a 5-minute break after that session. Thanks to Tomighty, you’ll divide your research and writing work into manageable chunks that will keep you focused and productive. It’s Your Call. Start Blogging More Productively! You can turn your blog into a very rewarding business if you’re consistent and committed enough. The key to success is in writing more high-quality content in less time, and combining that work with effective promotional activities. The 8 productivity increasing tools described above will help you boost your blogging productivity. It’s up to you to start using them as soon as possible. Stephanie Norman is a contributing blogger and professional writer with four years of experience from Sydney. She writes business, creative, and academic content. Self-development, tourism, and reading thought-provoking books are the favorite things for her to do in free time. You can follow her at Facebook and Google+.